Here you will read about online Instagram story ad maker websites. It is very simple to use these websites. To create an Instagram story ad, you have to sign up first. Thereafter, you can use templates to edit. The sites provide you different tools such as text with stylish fonts, stickers, shapes, color, etc. Besides that, you can browse images from your computer to use it as a background. Also, you can copy the design to make another version of it. And when you are satisfied with the design, you can download it as PNG. Also, you can save the design as JPG, PDF standard, PDF print, and PDF. When you use your Instagram as your business account, it is necessary to promote your brand. The brand can be related to food, fashion, magazine, accessories, etc. And for that, you have to work on creative ad posters. Using these sites, you can take advantage to make Instagram story ads to get public engagement. You can make creative Instagram stories as well. Let’s go through each online Instagram story ad maker. Crello is an online Instagram story ad maker website. Once you visit the website, you will see different templates in the section called designs. You can scroll down the design to find an appropriate one. Once you open any template, you can use tools available on the left. To edit the template, you can click anywhere on the template in order to change the image, color, text, etc. If you click on the text, the site shows you option to use other font styles with different colors. You can adjust the brightness, contrast of the image. Also, you can remove or lock the entire text of the template and create the template in your own way. Apart from that, you can use other tools like text, objects. When you are done, click on the download option located on the top right. The site lets you download the image in JPG, PNG, PDF Print, PNG transparent and PDF standard. And then, you can post the image for your Instagram story ad. 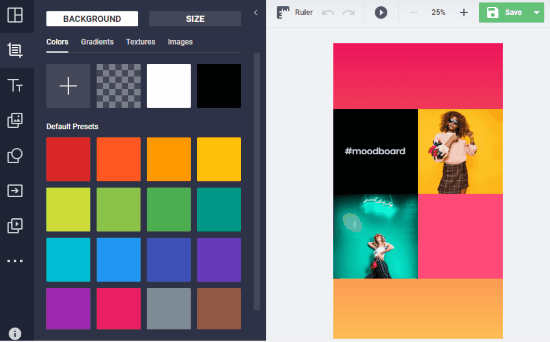 Canva is another online Instagram story ad maker. The site lets you create graphics, logos, poster, flyer, etc. 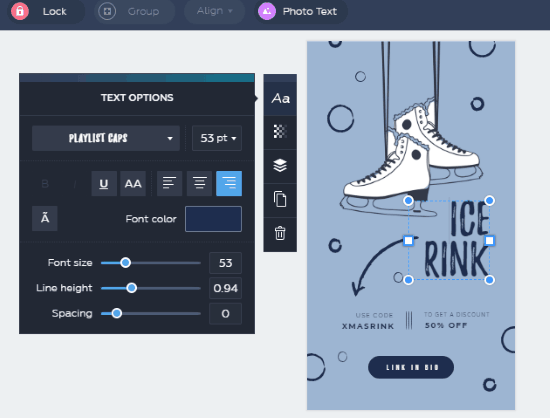 To design an Instagram story, you can use either templates provided by Canva or create your own. You will see different tools like templates, elements, background, text, etc. Besides that, you can add a new page with the same backgrounds, copy the same image. Doing so, you can create different versions to check which ad is looking good. Thereafter, you can download the image by clicking on the download icon. Though it is suggested to download image with PNG format. But you can save the image as JPG, PDF standard, PDF print, and PDF. Bannersnack can be the other option as the Instagram ad story maker. The site is somewhat similar to the aforementioned websites. In its free plan, you can create 10 ads for your Instagram account. When you visit the website, you can use the templates. Also, you can use animated templates to make your Instagram story ad more effective. The site has a category section where you can find the relevant template related to the subject. There are tools like background, text, add images. Other tools are on the right side from where you can fix layers and slides. You can enter your own text, adjust it over the picture, opacity, transition, etc. 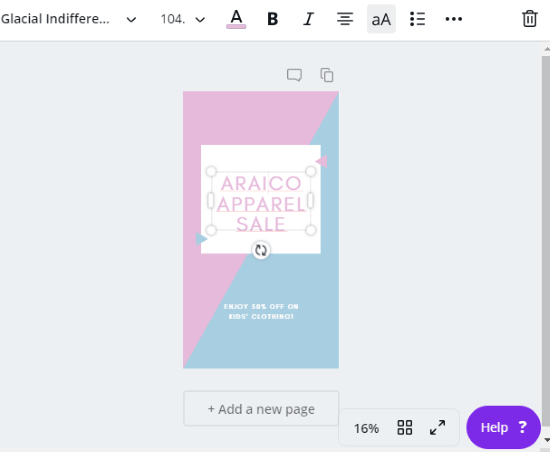 After creating the design for the Instagram ad, you can save the image within the website account. Then, you can download it as JPG, PNG, GIF file formats. Instagram story ads can be very beneficial to promote your brands. It is a good step for public engagement as well. But it is necessary to make your ad impactful. For that, you can use above-mentioned sites to create ad pages. You can add background images and other tools and post in your Instagram story.